Adrianna Rabinovich, from Gluten Free Cooking 4 Kids, in my opinion is a bit of a gluten free legend. For more than 10 years, she has been exploring, developing and experimenting with gluten free cooking, basically since her daughter was diagnosed with coeliacs disease at 18months old. Thankfully as a trained chef and owner of her own bakery she knew food. But she knew nothing about gluten free food. This was the beginning of the naughties, before Genuis even existed, so she really had to find her own way. But what Adriana has not discovered about gluten free cooking and baking, frankly can’t be worth knowing. 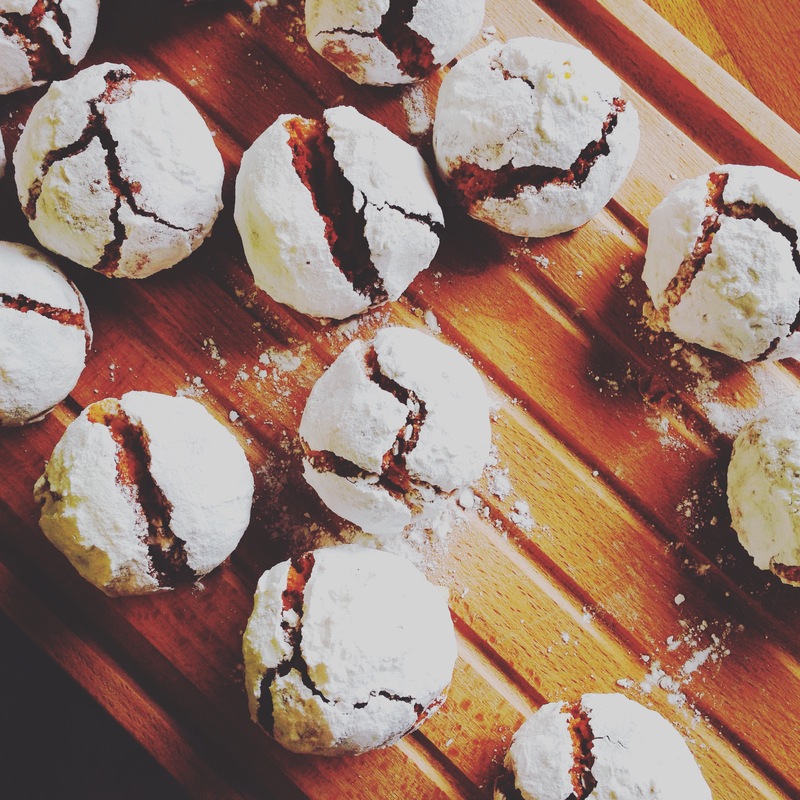 She constantly challenges herself – or maybe its her daughters high standards that drive her – to replicate ‘normal’ foods for the gluten free community and teach them how to feed themselves well. 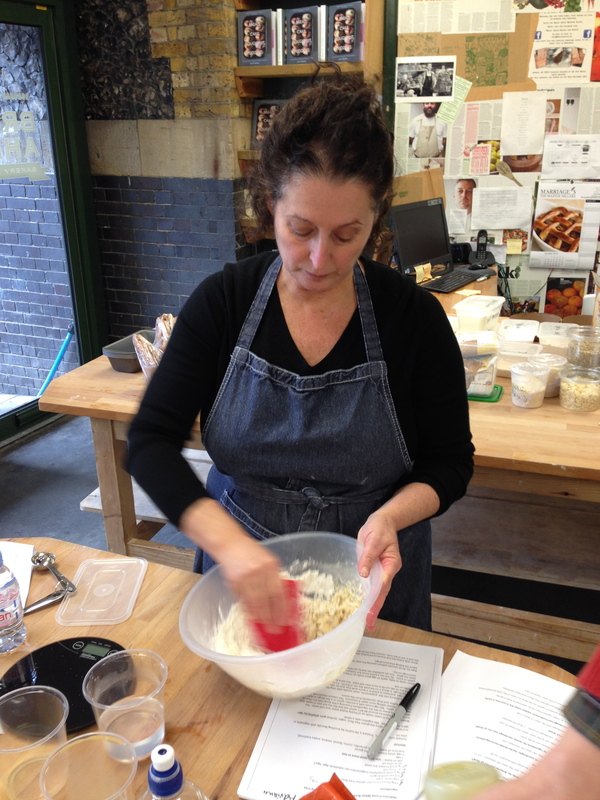 And this is what I was invited to do by Bread Ahead Bakery in London’s Borough Market. 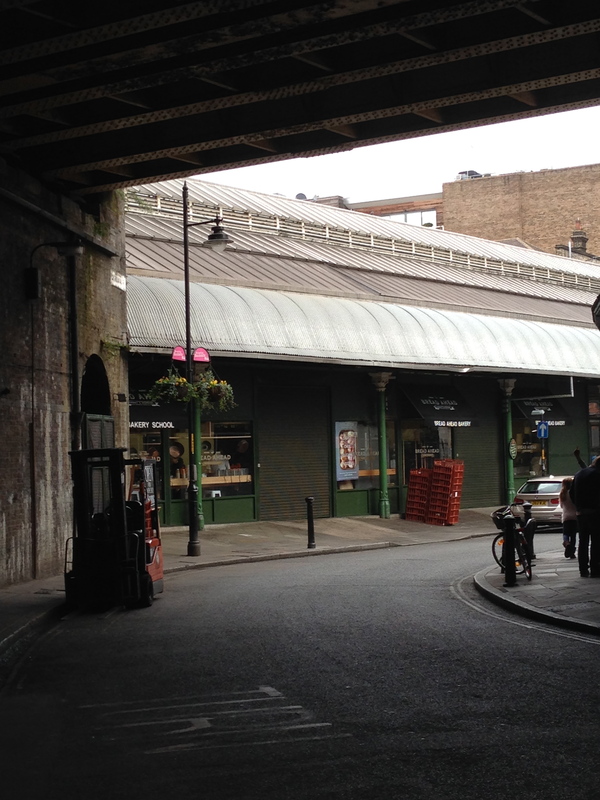 Bread Ahead is the onsite artisan bakery and school in the heart of Borough Market. 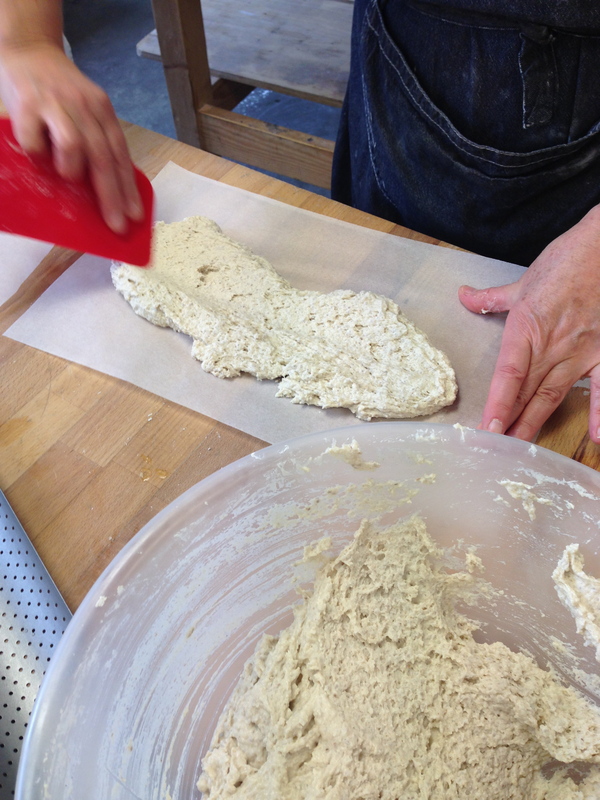 Their aim is to show people just how easy it is to make bread. Super keen to share their expert, professional knowledge, I can see why Adriana fits in, bringing GF bread knowledge to the team. It should be made known that these courses do take place on the site of a normal bakery. Both the bakery school and Adriana make every effort to ensure cross contamination is reduced to its absolute minimum. However the environment cannot be controlled completely as it is a working bakery and trace amounts of gluten containing flour may be present. 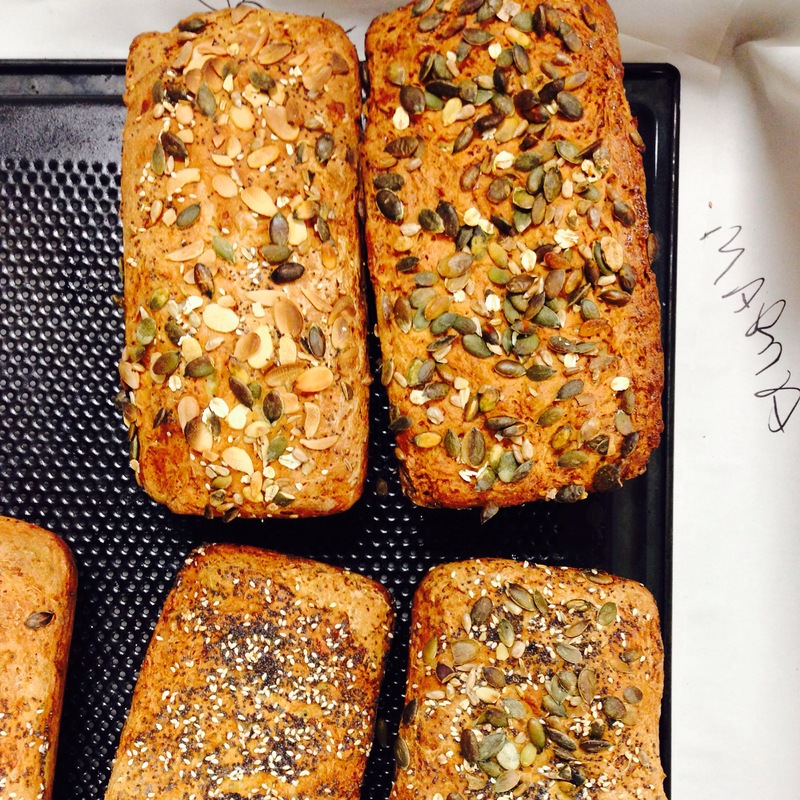 I attended Bread Ahead’s Gluten Free Bread Workshop dedicated to the art of gluten free bread. Seen as the Holy Grail in the gluten free community, everyone in this small group was keen to make bread with a crust, that was savoury, free from monster holes or suspiciously keeping forever. Over the years my own bread attempts have improved, but more recently that is down to learning from gf experts. A small group of 8 people, spent time focusing on 3 staple breads; a simple white loaf, enriched brioche and a true sourdough. After a short introduction, we soon discovered the art of good gluten free bread was technique. 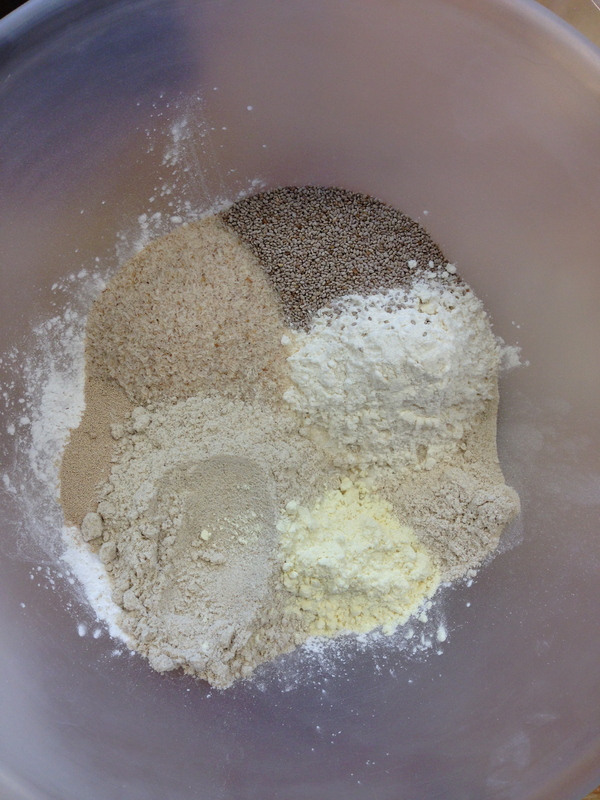 The same approach was used across the loaves, but with variations on gums, flours and liquids. Each of us making weighing, making and baking our own breads meant we quickly picked up the knack for mixing and judgements, with some gentle encouragement from Adriana about quantities and the amount of ‘wellie’ to give the mixing. We worked solidly under Adriana’s guidance for most of the day, weighing, mixing, proving, baking and discussing the reason for the outcomes of a bake. There was so much to learn, and we picked up all kinds of tips as to why things go wrong, but felt like we only scratched the surface. In addition to the formal recipes, there was extensive discussion about gluten free ingredients, substitutions, equipment and sourcing recommendations. Adriana is an absolute font of free from knowledge, including giving me insight to the xanthan gum debate and arming me with a natural alternative for my sourdough. Lunch, plentiful sweet snacks, hot drinks and of course, bread were provided on the day to keep our strength up. Nothing beats hands on learning and Adriana armed us with knowledge, confidence and a ton of bread. And then at the end of the day we were taught how to make, nurture and use our own gluten free teff flour sourdough starter. All this, plus access to the Gluten Free 4 Kids hotline whenever that baking dilemma or emergency strikes, made for a rich and fulfilling day. The obvious thing to ask though is about the breads themselves? It’s all well and good to have a wonderful day baking amongst like minded people, but is the end product any good? Well, the brioche was light, sponge like, and savoury and would make a wonderful Pannetone at Christmas. The simple loaf was light, a good crust and could even make a good sandwich. But for me it was the sourdough that stood out. 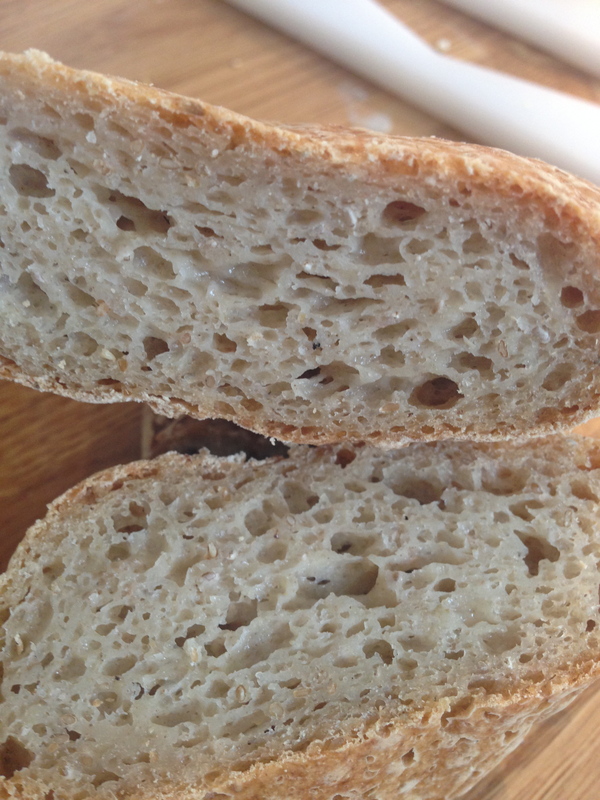 Turned into a baguette, it was like no other gluten free bread I have tried. A great crust, big even air holes, a lovely chewy centre. 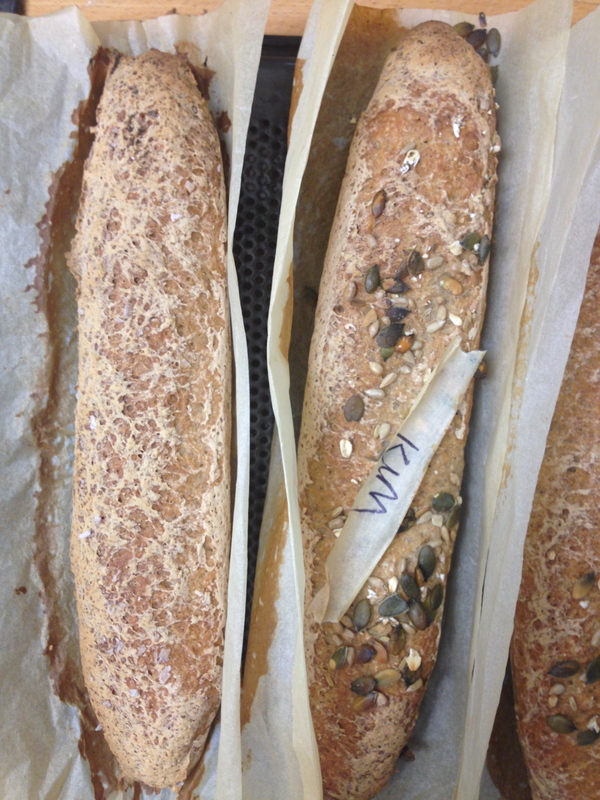 I loved the lighter brown, rather than bleached white appearance, like a rustic French country baguette. The tang from the starter culture made the whole flavour more interesting. Even a day later, it didn’t even need toasting! 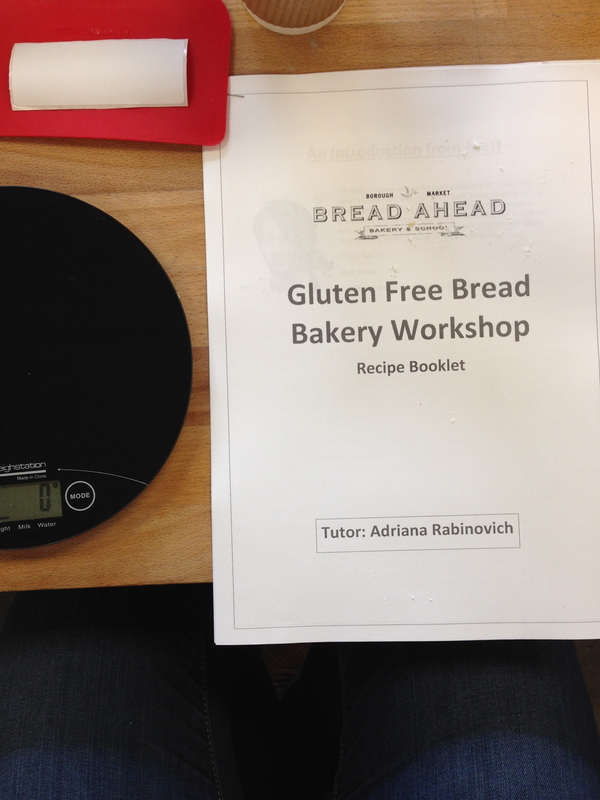 A huge thank you Bread Ahead Bakery & School and Adriana Rabinovich for inviting me to attend the course. Whilst I was a guest of the bakery, please note that all opinions are my own. Thanks for coming and for the gorgeous photos. I love you writing style which has a calmness and lightness of touch. You have a special gift. I’m so pleased to hear you enjoyed the day and that you’ve found a flavourful sourdough to add to your collection. Well I don’t know about that, but I certainly hope it gets across how much I learnt and enjoyed the day! Keep up the great work!